Whether for fitness or weight loss, vegan protein powders can help to lead a healthier and more balanced lifestyle for many reasons. When it comes to post-workouts or trying to lose weight, vegan protein powders can also provide a little boost to your smoothie. While many people are very familiar with whey and the casein proteins, plant-based protein powders (like hemp protein, soy protein, pea protein, and the rice protein) are becoming more well known for their cleaner and more rapid absorption for both recovery and weight loss. Plant-based protein powders come in several distinct types. And when it comes to losing weight, some are better than others. Below we profile our picks for the top three vegan protein powders for weight loss. For more great vegan protein powder reviews, visit veganproteinpowder.reviews. 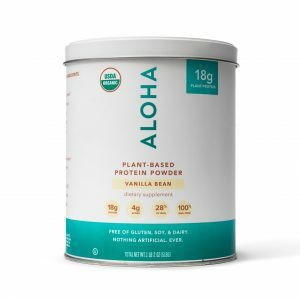 Aloha Plant-Based Superfood Protein brings the nutritional benefits in a delicious, easy to blend plant-based protein powder. By slipping this product into one of your quick weight loss protein shakes or smoothies, you quickly realize how great it tastes and how full it makes you feel. Try their wild-harvested vanilla or fair-trade organic cacao powder swirled into a fast shake with half a frozen banana for the ice cream-like texture and the tablespoon of the nut butter for gratifying healthy fats and some added protein. 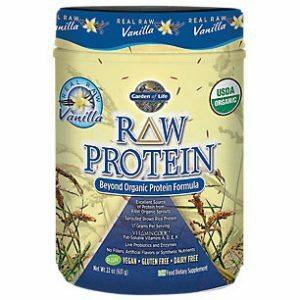 Garden of Life RAW Protein is a complete protein that showcases 13 organic and raw sprouted protein, with 17 grams per serving. Additionally, not only is this one the best vegan protein powders for weight loss, but contains all of the vital amino acids your body requires. Just ensure you whip up your smoothie using a healthy avocado or nutter butter. Garden of Life RAW Protein is loaded with the fat-soluble vitamins K, E, D, and A that can only be totally absorbed by your body when combined with a healthy fat. The unflavored version of this vegan protein powder works as a great option for those looking for a transparent and barely-noticeable addition in their smoothie. 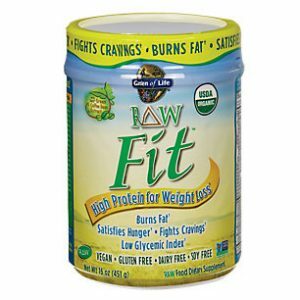 For the additional benefits of weight loss, try the Garden of Life RAW Fit protein line. It is a vegan protein powder that’s formulated to boost your weight loss, jumpstart your metabolism, and even maintain healthy levels of blood sugar. Additionally, this line is all-natural and free of dangerous additives. 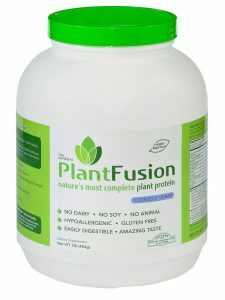 PlantFusion vegan protein powder, you can select from a variety of some unique flavors such as cream and cookies and chocolate raspberry with this blend of pea and the artichoke (yes, artichoke) protein and the proprietary enzyme blend. PlantFusion vegan protein powder also carries quinoa and the amaranth, a prehistoric grain brimming with nutrients which may prevent cancer and have some anti-inflammatory properties. The 21 grams of the protein per serving should be sufficient to convince you to ultimately part with your earlier tub of whey. For a no-effort and delicious vegan protein shake, non-dairy milk of choice, combine PlantFusion vegan protein powder with 2 tablespoons almond butter, half a banana, and a sprinkle of cinnamon and cream protein powder. You can also throw in essential of spinach for great measure; you will not detect the mild-tasting green through the sweet cinnamon and powder. Even though these protein sources are not quite as famous as whey and casein, they’re absolutely important for some vegans and vegetarians. Contrary to common belief, several plant based proteins do contain vital amino acids, but not in similar amounts as those obtained from animal sources such as dairy and eggs. It’s possible to acquire all 9 essential amino acids needed for muscle growth and maximum bodily function with the balanced vegan diet. Protein-rich supplements are the ideal accompaniment to that particular diet for all hard-training athletes. The major benefit of the plant-based protein powders is that they appear to be much easier on digestive tract than other animal sources. This entry was tagged Aloha, amino acids, diet, fitness, food, Garden of Life, nutrition, organic, plant-based protein, PlantFusion, protein, superfood, vegan, vegan protein powders, weight loss. Bookmark the permalink.